We, the director of the documentary film The Cove and the principal activist featured in the film, believe that Newsweek’s “A Social Media Storm Descends on Taiji, the Japanese Town at the Center of a Dolphin Slaughter” badly misses the mark and is biased and factually mistaken. 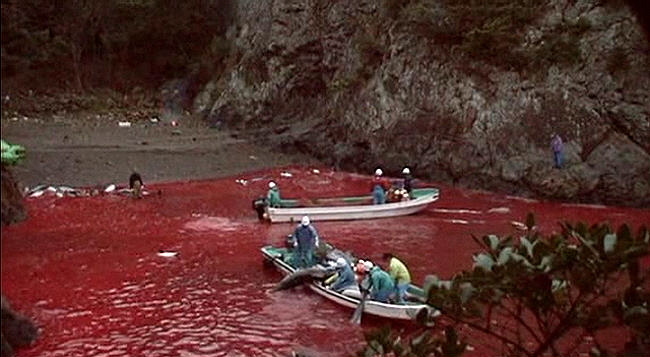 Your section “Sea of Blood” suggests that the Taiji fishermen now use a humane killing method. Nothing could be further from the truth. Once Taiji fishermen saw the impact that video footage of the blood red Cove had on worldwide public opinion, they instituted a new procedure. They now attempt to stab dolphins in the spine and then insert wooden plugs into the wounds so blood doesn’t drain into the water. Dolphins do not die more quickly, or experience any less trauma. 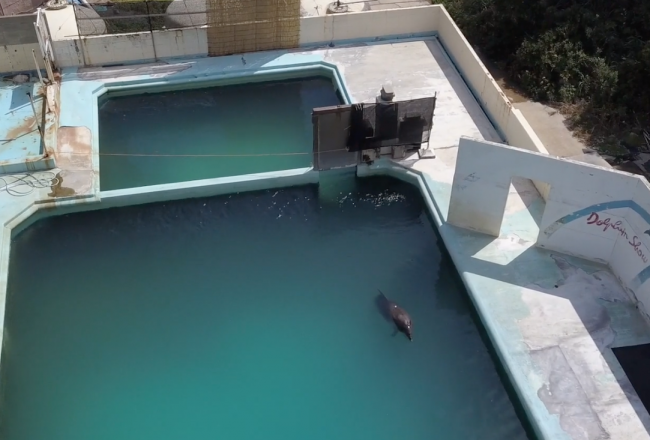 Dolphins still die long, brutal and painful deaths. The time to death is among the worst of any marine mammal killing in the world, and far below standards required by countries – including Japan – for livestock animals. It’s just less dramatic on film. No one associated with the making of The Cove is anti-Japanese. The film was produced to raise awareness inside of Japan, and we actively support Japanese activists. In fact, this past season the Dolphin Project was in Taiji at the invitation of Flippers Japan, a Japanese-led organization formed to protest the dolphin hunts. The Newsweek story fails to mention any of the growing number of Japanese citizens who are pressing for an end to the Taiji dolphin kills, including people like former dolphin-hunter and now dolphin tourism boat owner Mr. Izumi Ishii. 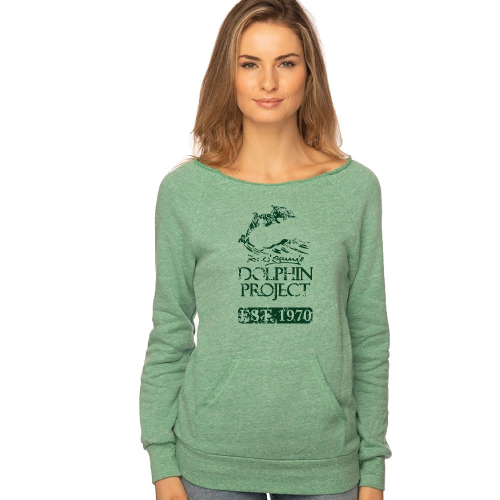 The Dolphin Project abides by the laws of Japan, works well with the police in Taiji, and respects the people of Japan. We have offered many times to collaborate on alternative revenue streams, like eco-tourism, for the city. 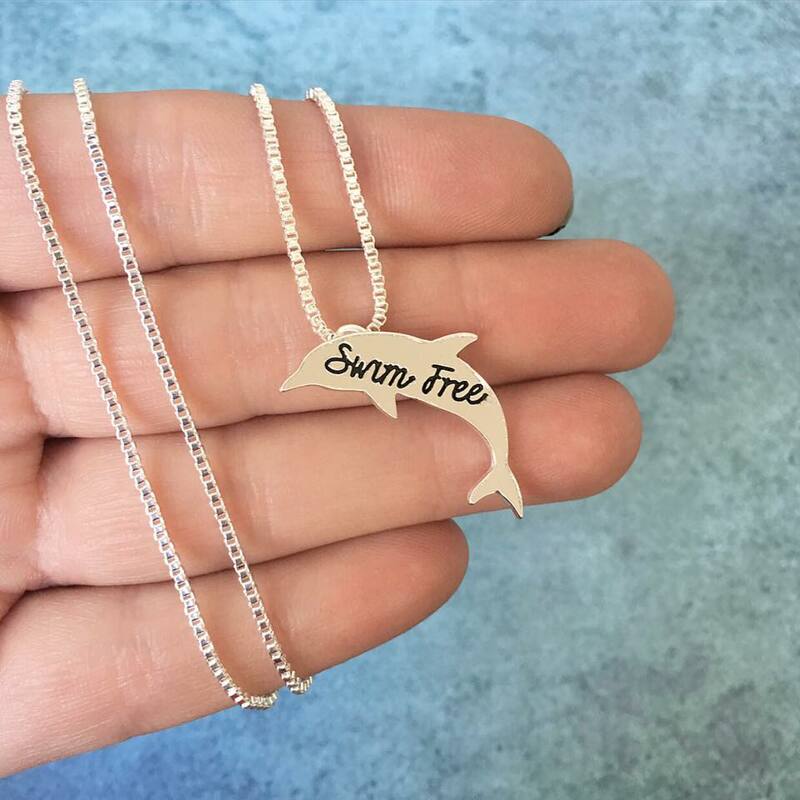 This has been effective in other parts of the world, where the Dolphin Project has a long history of collaborating with local organizations and foreign governments. As for your characterization of Dr. Endo, his comments about mercury poisoning were accurately depicted in The Cove. Dolphin meat has been tested and its dangers documented by numerous sources. Dr. Endo asked to be removed from the film because he did not want to be perceived as an animal rights activist. His efforts to sue the film distributor in Japan to be taken out of the film were unsuccessful, a key point the article ignored. Yes, we have many celebrity supporters, but we also have biologists, scientist, animal welfare experts, students, and many others who have taken the time to research this issue. They tweet, they protest, and some even fly all the way to Japan at personal expense to serve as Dolphin Project Cove Monitors. We have more than 2 million signatures from supporters worldwide asking Prime Minister Abe and the Japan government to end the dolphin killing. These are not people who simply find dolphins “cute,” but people who have taken the time to consider the countless studies that prove that dolphins and whales are highly intelligent, emotionally evolved beings whose cognitive abilities we have only just begun to understand. That is a scientific fact, not an emotional reaction to a 1960s television show. Newsweek would have benefited by reviewing the fact-based account by the Associated Press in the New York Times (March 27, 2014) documenting that the greatest threat to Japan’s continued whaling (and the same goes for the dolphin kill) is that Japanese consumers have lost their appetite for whale meat. As with the whale meat, most dolphin meat sits stockpiled in warehouses, giving further credence to claims that the slaughters are wasteful and unnecessary. Dolphin meat has been tested in many labs in Japan showing mercury and PCB levels that far exceed healthy levels set by the Japanese government and world health agencies. It is totally unacceptable for the dolphin hunters to continue their so-called “tradition” of selling poisoned dolphin meat to unsuspecting Japanese consumers. Finally, we find your magazine “cover” tasteless. 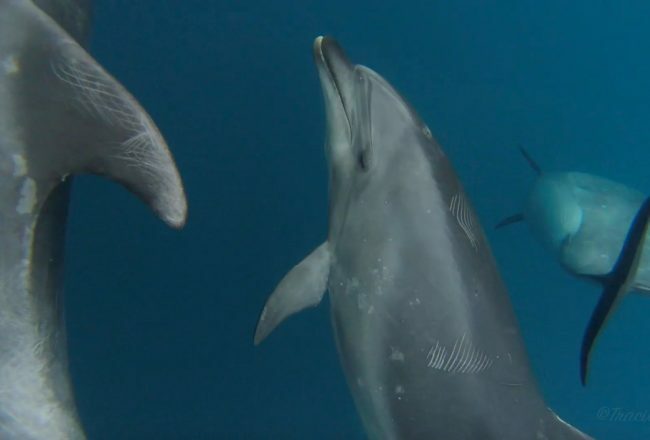 The Dolphin Project had a crewmember on the ground in Otsuchi, Japan on 3/11/11. He had just minutes to make his way to the top of a nearby cliff, where he watched the entire city destroyed by the tsunami. Contrary to what your story suggests, we have many close ties to friends and family in Japan, and our hearts broke for them that day. We have been to the region many times since on humanitarian missions. To invoke such horrifying imagery in your representation of activists efforts is offensive.